Fireworks in Las Vegas aren't exactly uncommon. Sin City likes to light up the sky for occasions big and small, but no Las Vegas fireworks show matches the one celebrating America's birthday. The 4th of July in Vegas will be no exception, as Vegas hotels, nightclubs and pool parties work around the weird timing of the holiday (a Monday) for a weekend celebration to highlight the summer. Our advice? Arrive early, and look up. Oh, and make a beer run beforehand. Since many of us will have the day off, a number of Vegas bars will try to rope in the masses with novelty drink specials and (hopefully) some cheap beverages. Las Vegas pools won't be a bad option either on the 4th, though any Vegas veteran can tell you to expect huge crowds. For the young-ins, Vegas pool parties not usually open on certain weekdays (see: Wet Republic, TAO Beach and Beachlife at the Hard Rock Hotel & Casino) will come alive to celebrate what America's all about: booze, bikinis and babes. If you're traveling with the kiddos, there's also a day-long parade and carnival in nearby Boulder City, capped off at night with a fireworks display at 9pm. 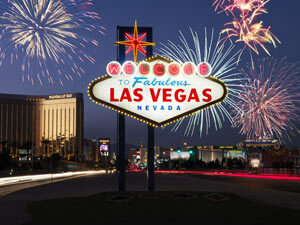 These are just a handful of the events celebrating the 4th of July in Vegas. As always, we'd LOVE to hear from fellow Cheapos about other Independence Day events you're looking forward to in our comments section below! Submitted by Anonymous on 7/4/12. Why is Ceasars's Palace so lame? Fireworks on July 7th?? I understand trying to get the weekend but don't try to reinvent the holiday.. Don't they know 4th of July means July 4th??? What's next? New Years on Jan 3rd??? Thumbs down Ceasars.. Quit trying to be original, you'll just hurt yourself..
We were told by locals and others that every casino has fireworks and drive to ceasars parking lot which we dis along with hundreds of others and saw absolutely zero except for far far away!! Thanks to the bs from locals u wouldn't have a job without us so just remember that!!! Families gotta hit up the local parks and festivities like parades. The strip is no place for children anyway. I remember the tourist are pissed every year. why is their never family orieneted stuff!! Families should hit up the local park festivities and parades. The strip is no place for your kids anyway. There is! You just can't look for it on the Strip..